Larger Project 1-8, Dining Room » Roger Perron Inc. Here we have the dining room with a concave dome. Construction detailing in the ceiling was sculptured to create the effect. 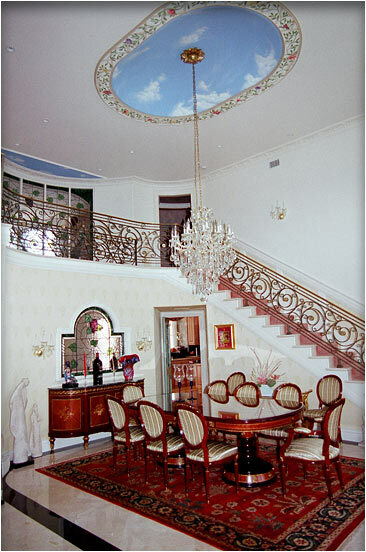 This dome was hand-painted over drywall to look like sky, with painted lattice and flower border around its perimeter (see “Work in Progress” to view sculptured construction frame).